This collaboration will be held with THE GUEST CAFE & DINER in Osaka for a limited time starting 2/2/19 - 3/26/19. 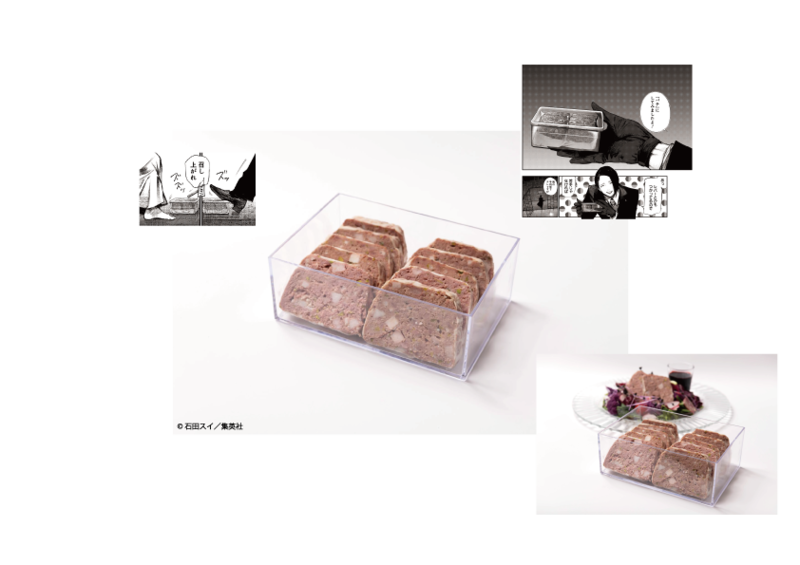 A specially created menu that has both new menu items and reprint menu items from a previous Tokyo Ghoul café will be offered! Free novelty items such as a luncheon mat or stickers for customers visiting to take home and exclusive café merchandise will be available for purchase as well! Goods shop may be used by customers not dining at the café. Advance reservations are not accepted at this café. In the event of congestion, a numbered ticket system and a time-limit to dine will be used where you receive a number and wait your turn. Follow staff directions for additional information if you visit on a busy day. Drink will be served with a pottery mask that when you drink from it; it looks like you are wearing the mask. You may not take the drink cup mask home. This is a side menu. Can only be ordered with a food or dessert dish. Customers who visit the Tokyo Ghoul:re Café will receive 1 original luncheon mat per customer while supplies last. Customers who order off of the collaboration drink menu will receive 1 original sticker while supplies last! Goods shop may be used by customers not dining at the café.